"Keep Quiet. The eternal truth exists within you. Do not entertain a single thought and the truth will reveal itself to itself." Inspired by Papaji's lifetime of service, this group of visionaries (and future founders of ORGANIC INDIA) together created a holistic business that would eventually change the face of agriculture in northern India. Their idea was simple: establish a sustainable business model to support the livelihood of thousands of impoverished farmers in India by providing training and education, enabling self-sufficiency and skills that could be passed on to future generations. This idea became a movement as organic and biodynamic farming methods were developed and practiced. 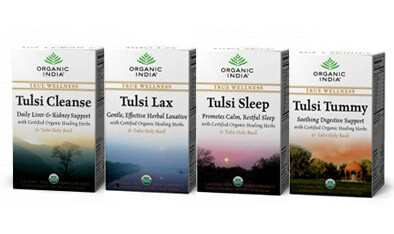 The founder's mission to offer safe effective herbal products to the world is the driving force behind an organic revolution that started with ORGANIC INDIA and is now taking root all across India. 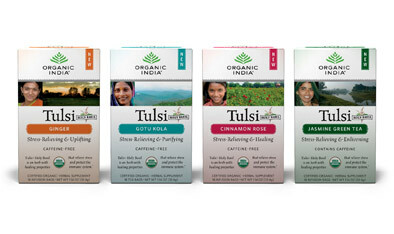 ORGANIC INDIA is inspired by and lovingly dedicated to Sri H.W.L. Poonja, Papaji, and Sri Ramana Maharshi, one and the same, embodiment of truth, of unconditional love for all beings and all creation, of supreme peace, of selfless service, of limitless compassion, of eternal wisdom, Sat, Chit, Ananda, Moksha. 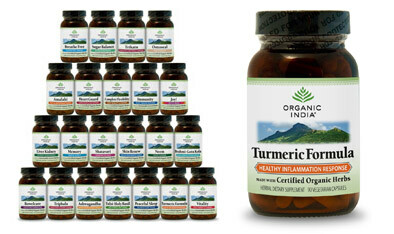 Learn more by visiting the Organic India USA website.